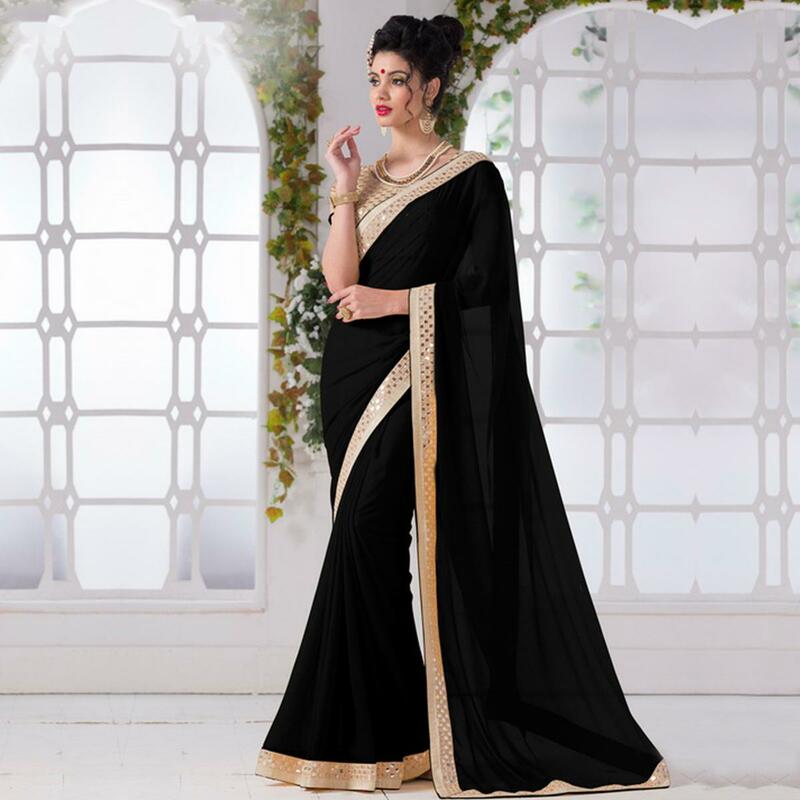 Add classic style to the overall appearance with this drape. This plain black saree look enhance with its fancy lace border work. 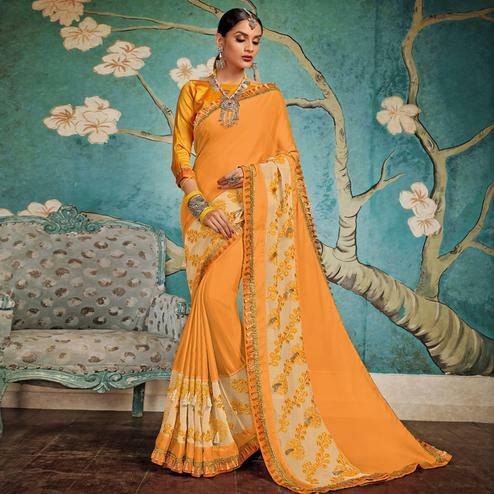 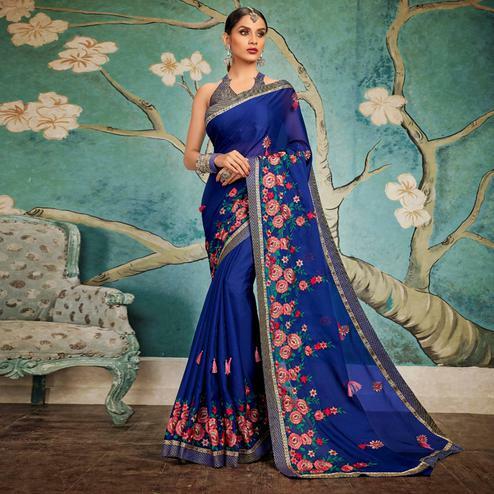 This saree is an ideal attire to wear for parties, functions & occasions. 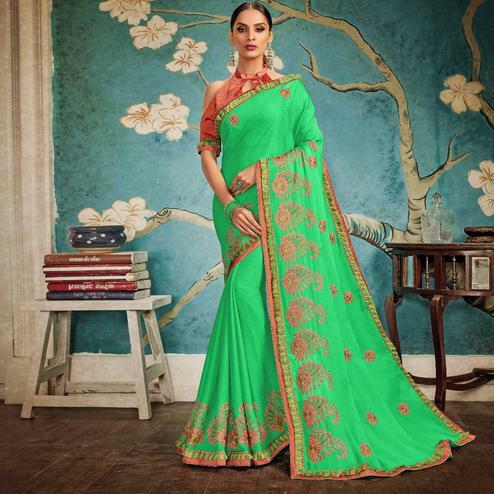 Saree comes along with a matching blouse as shown.